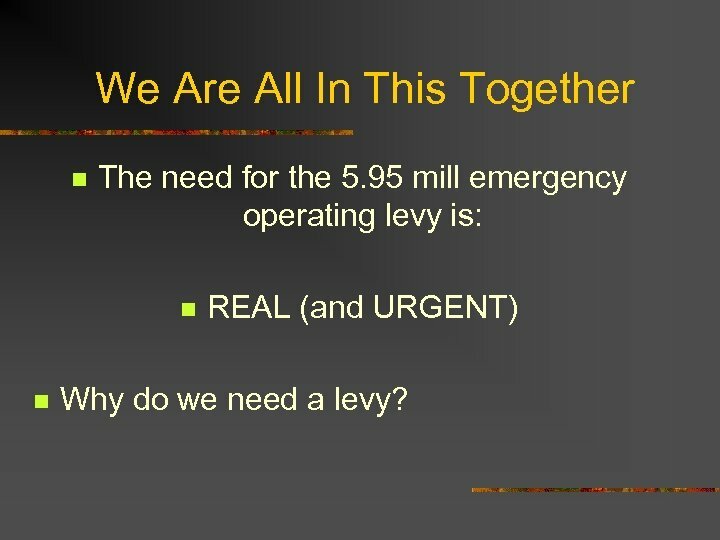 We Are All In This Together n The need for the 5. 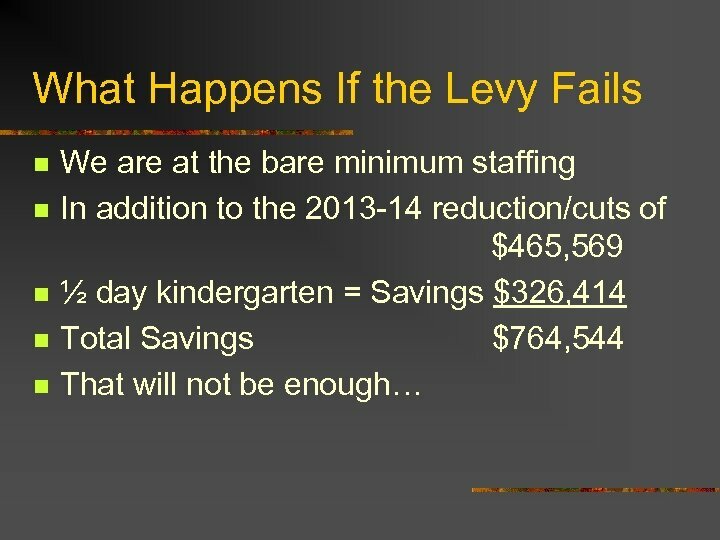 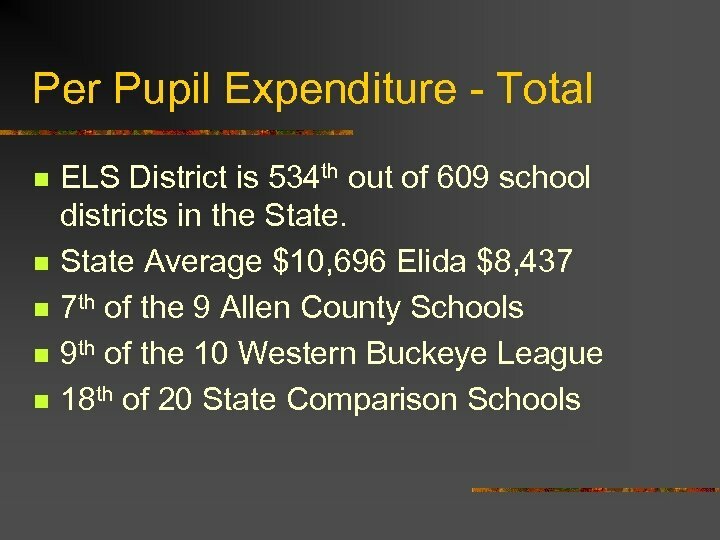 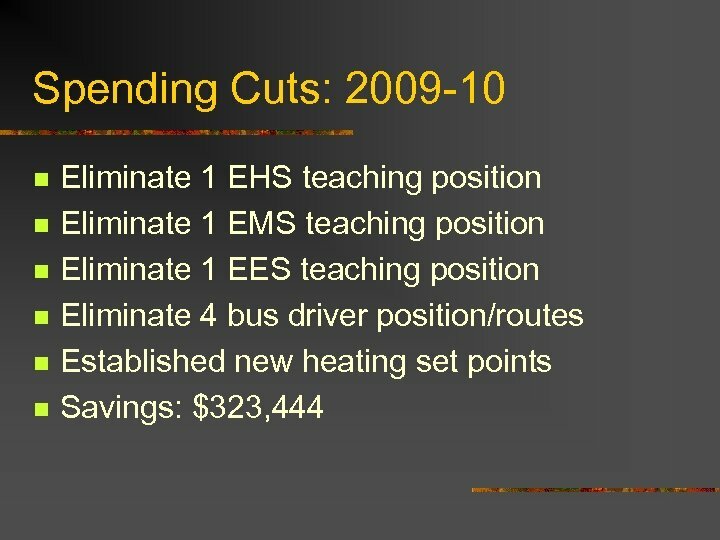 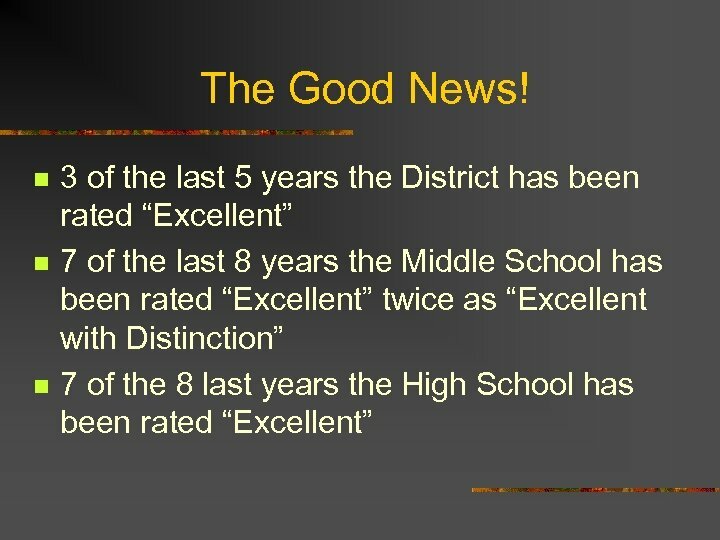 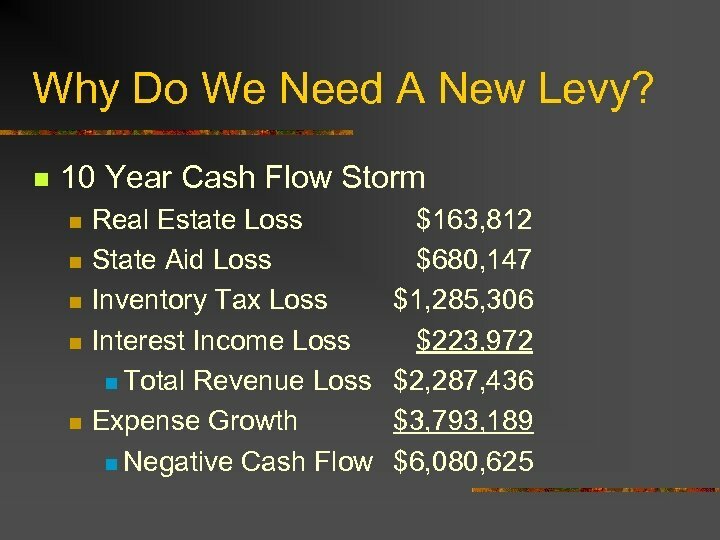 95 mill emergency operating levy is: n n REAL (and URGENT) Why do we need a levy? 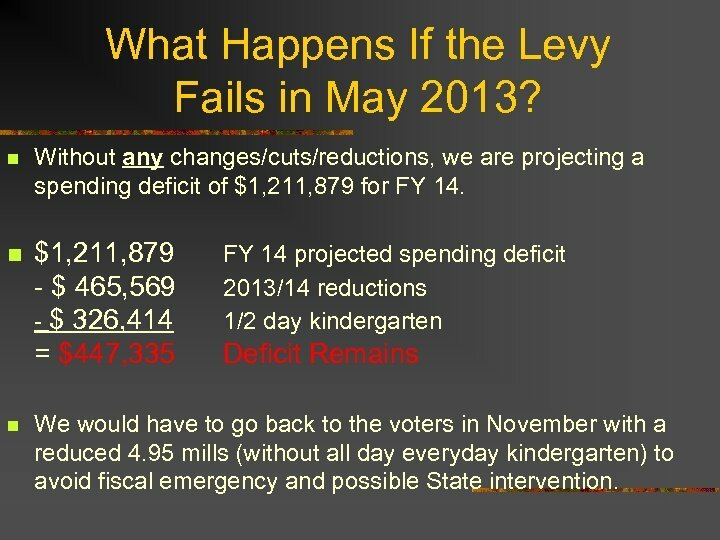 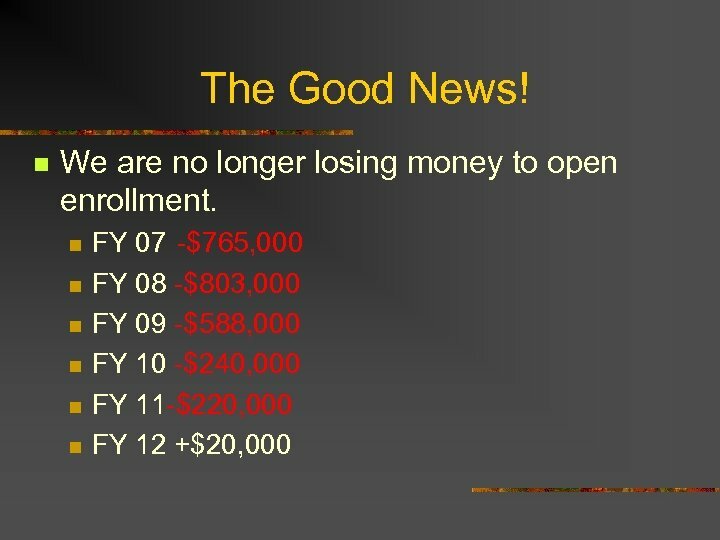 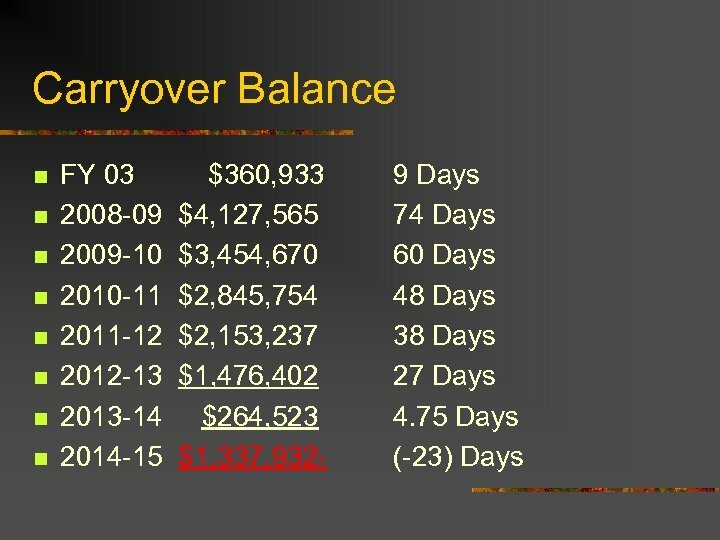 What Happens If the Levy Fails in May 2013? 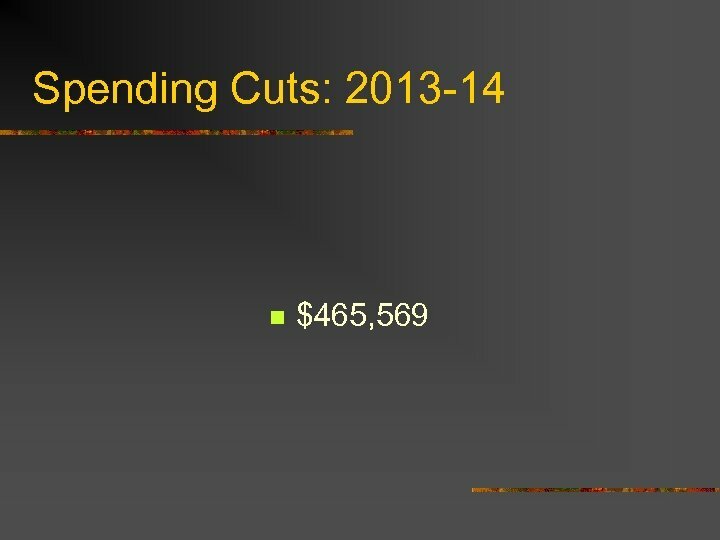 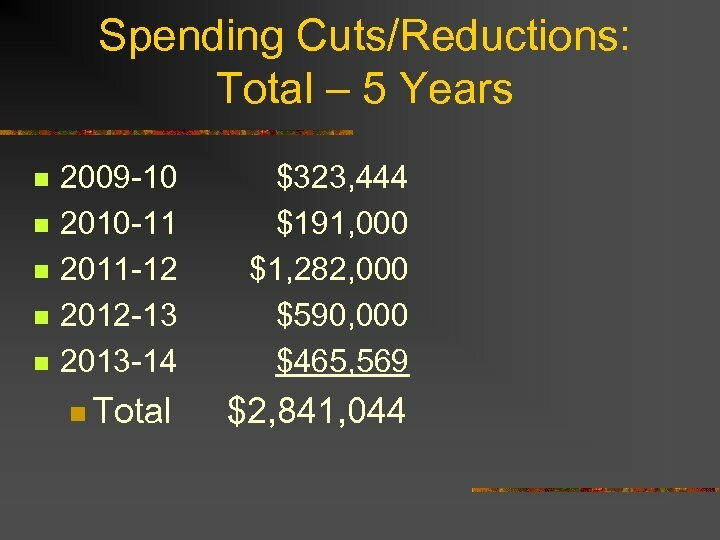 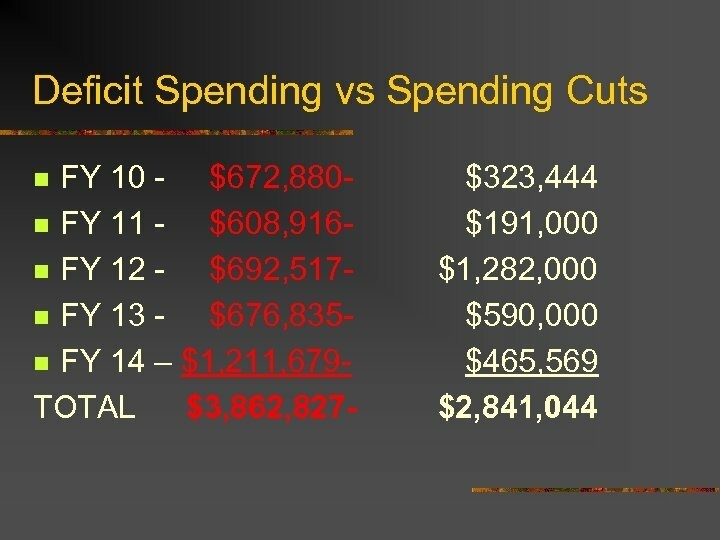 n Without any changes/cuts/reductions, we are projecting a spending deficit of $1, 211, 879 for FY 14. n $1, 211, 879 - $ 465, 569 - $ 326, 414 = $447, 335 n FY 14 projected spending deficit 2013/14 reductions 1/2 day kindergarten Deficit Remains We would have to go back to the voters in November with a reduced 4. 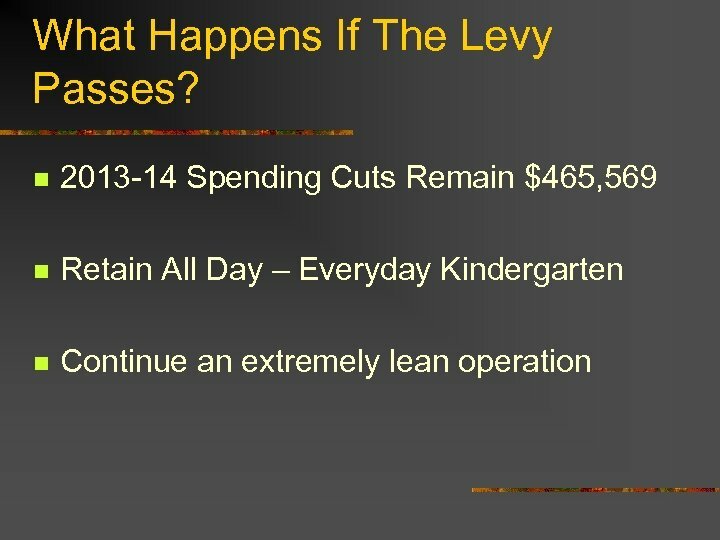 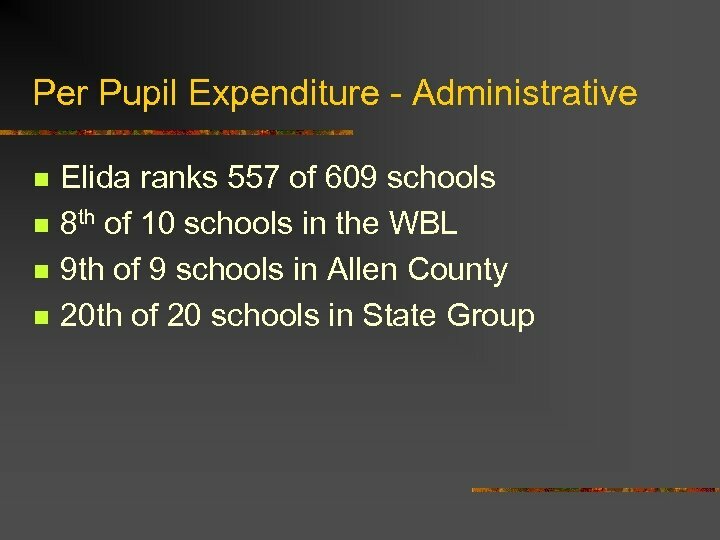 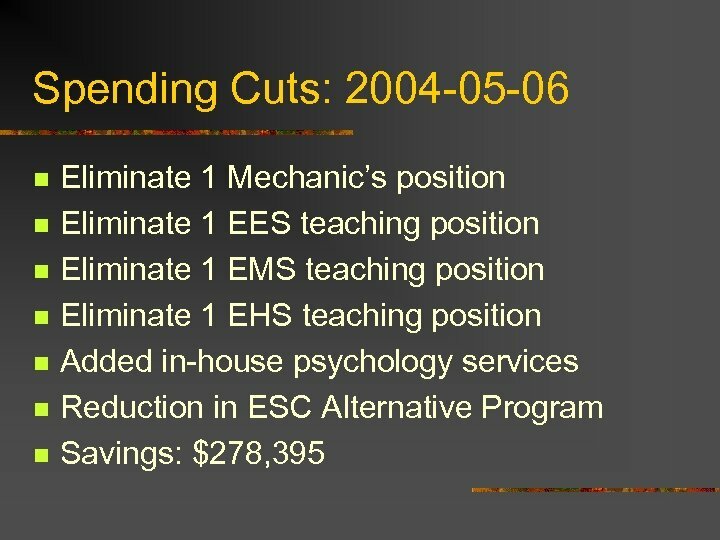 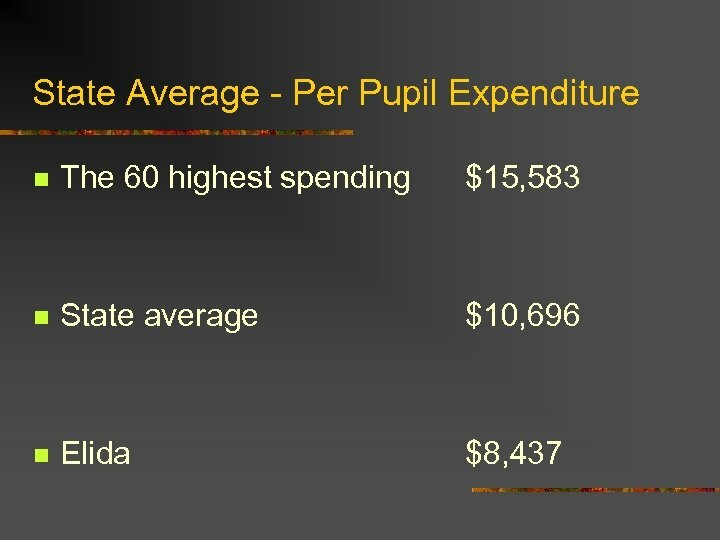 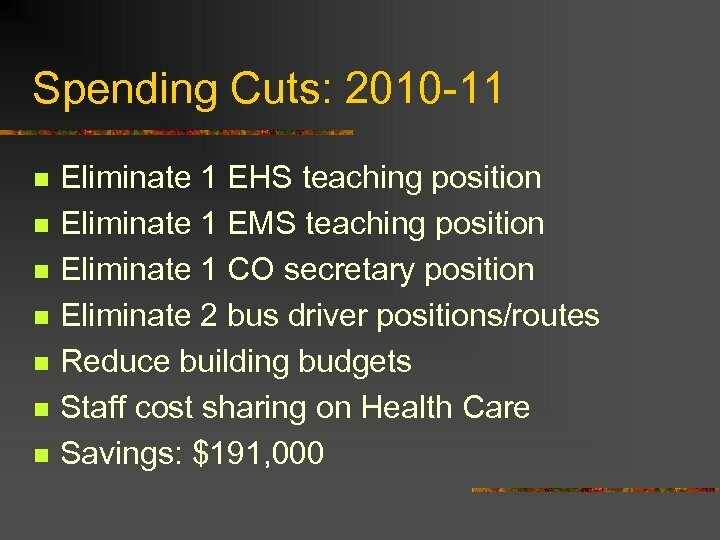 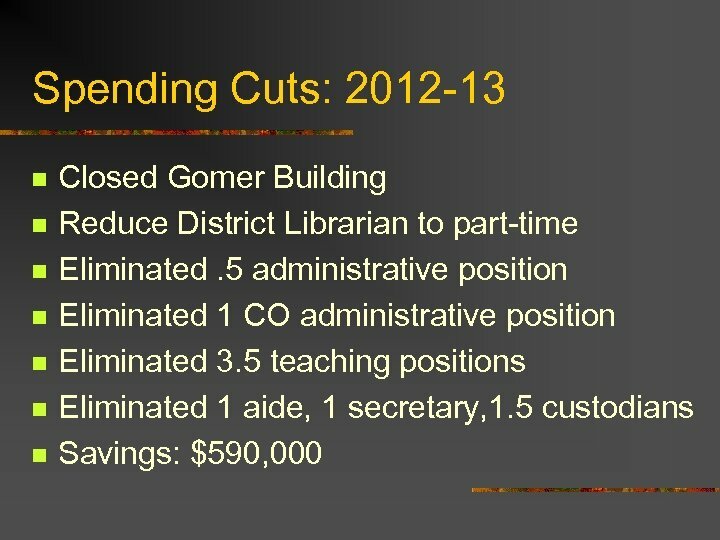 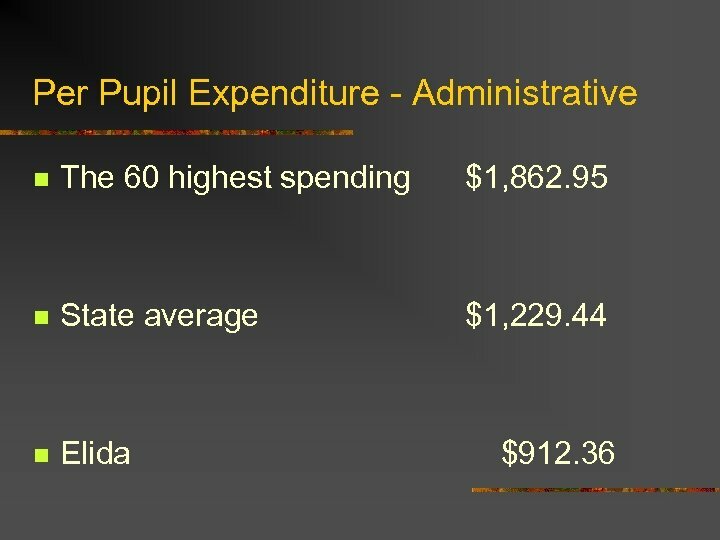 95 mills (without all day everyday kindergarten) to avoid fiscal emergency and possible State intervention. 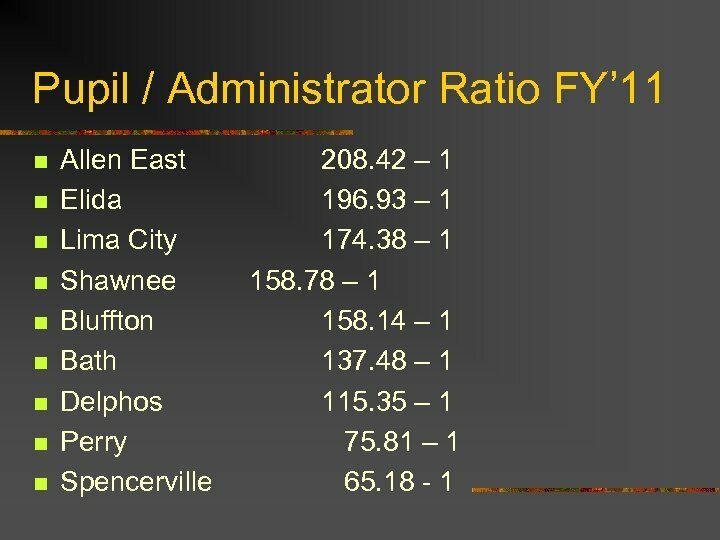 Commitment to Partnership with Taxpayers n n Our staff is on board and understands how important it is to keep expenditures down. 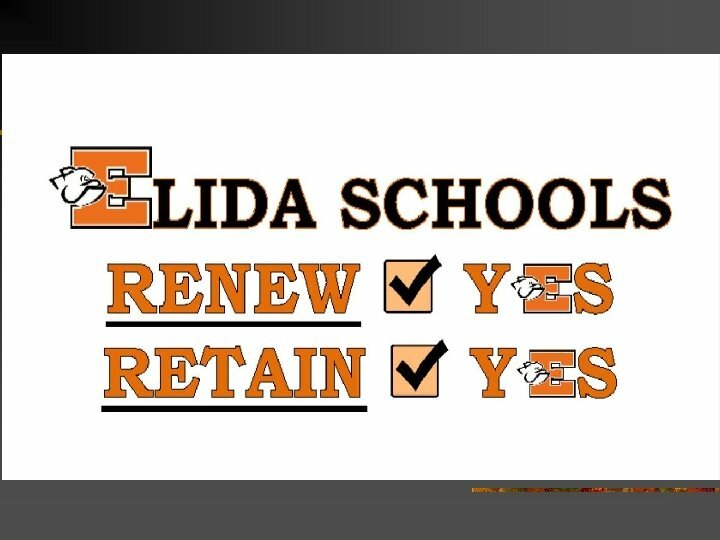 0% on the base for this year and next. 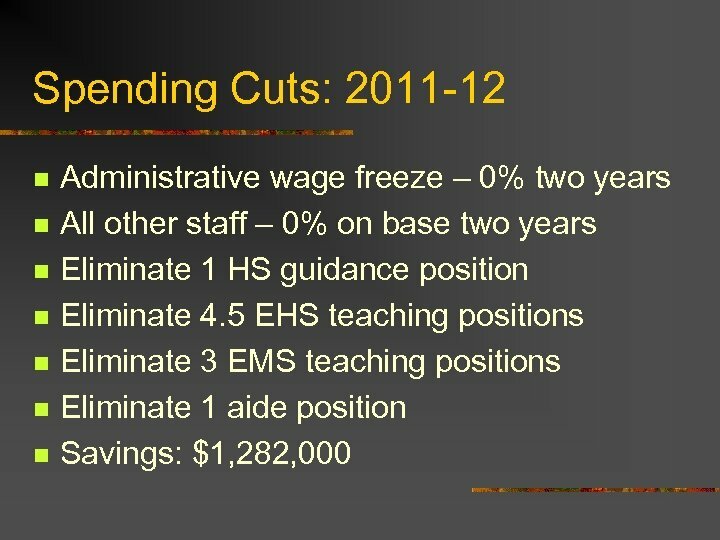 Wage freeze for all staff next year. 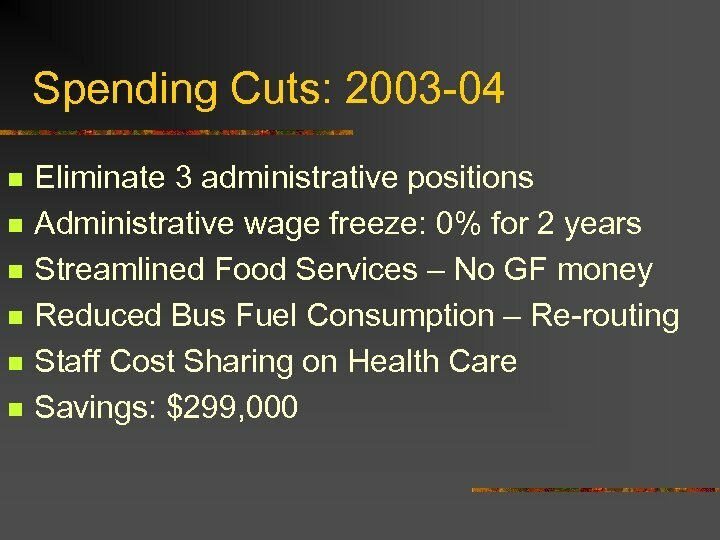 Increase in health care contributions.